If you bet online, odds are you have a PayPal account (pun intended). It is one of the easiest ways to make withdrawals and deposits since a transfer can be accepted through PayPal from sites, such as eBay. You can also use an electronic check that is drawn directly from your bank account to fund the site’s PayPal account. Other methods exist, including the PayPal Mastercard. This method, however, can only be used outside of the United States. It is illegal to fund your account at an online poker or casino site with a debit card if you’re in the United States. U.S. sports betting sites do not accept PayPal deposits, but many Daily Fantasy Sports sites do. They include DraftKings, FantasyDraft, and FanDuel. Outside of the United States, PayPal is accepted at Bet365, 888 Sports, and Betway. Keep in mind that using PayPal will incur additional charges. The online betting sites will not charge you, but PayPal will charge you an extra 2.9 percent if you use a credit or debit card. No additional fees are incurred if you use funds withdrawn electronically from a bank account or your PayPal balance. Remember that it must be you doing the deposit at the betting site since permission is required from the actual account holder. Is Using PayPal at Betting Sites Safe? Using PayPal might be safer than using your bank account because it layers in extra security between the user’s financial information and the site. E-wallets create a buffer between a PayPal user and any potential online thief. 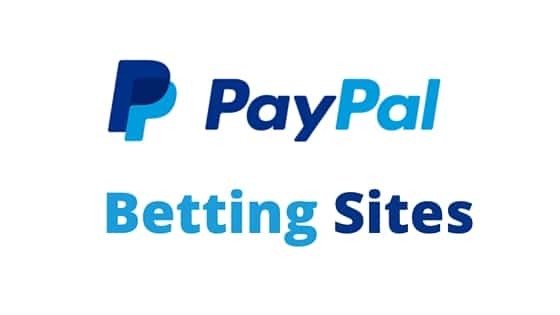 Countries that allow PayPal to be used for online betting sites include the United Kingdom, Australia, France, Germany, Spain, Ireland, Greece, Italy, Austria, Belgium, Denmark, Finland, Sweden, and Portugal. In the United States, only New Jersey and Nevada allow players to use PayPal when making deposits for online gaming. PayPal is also frequently used for deposits on U.S. horse racing sites. So, why aren’t U.S. players allowed to use PayPal for a betting site? It has to do with licensing agreements. European countries issue licenses for betting sites. PayPal only allows these transactions on sites that are licensed. That is also why Nevada and New Jersey allow the use of PayPal; the betting sites are licensed in these two states but in other states, they are not. At one time, PayPal was the e-wallet of choice for offshore gaming sites, including casinos, sports betting, and poker sites. Litigation was brought against PayPal, however, and the company was ordered to pay a $10 million fine. Some online gamblers remember the time when PayPal processed payments during a short period of time between 2000 and 2002. 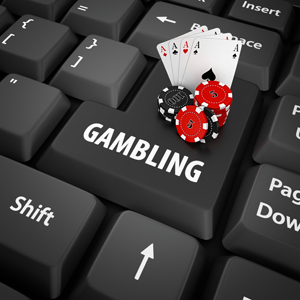 In fact, transactions for online gambling accounted for as much as 8 percent of PayPal’s total payment processing in 2002. But, things have changed. Until 2009, PayPal stayed out of online betting. After that, it resumed processing payments but did so in a different way. This time, PayPal instituted a requirement that each site that it did business with were licensed in the proper jurisdiction and fully legal. For that period, the only country that met that requirement was the United Kingdom. Betfair has the distinction of being the very first European online betting site to use PayPal. 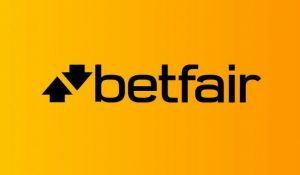 But, even before the 2006 Unlawful Internet Gambling Enforcement Act, Betfair refused to accept players from the United States. Betfair is a betting exchange, which means it takes a cut of a person’s winnings. This loophole allowed PayPal to re-enter the lucrative overseas online betting industry and the rest, as they say, is history.